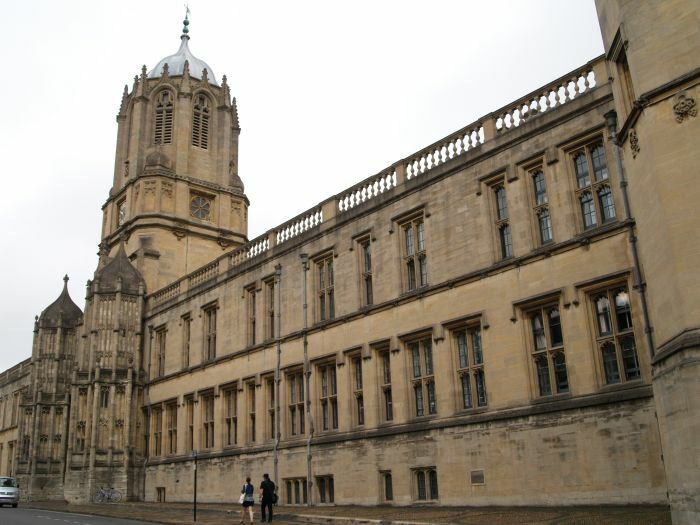 Christ Church College: The main entrance to Christ College on St Aldates. 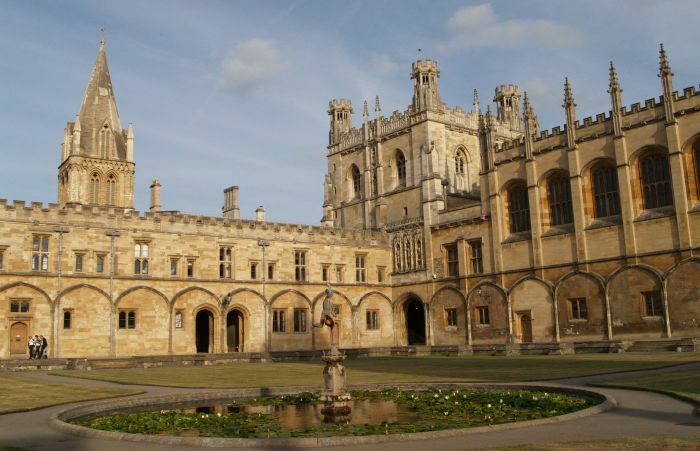 Christ Church is a wealthy college with magnificent spacious quadrangles and buildings including a great Tudor dining hall. 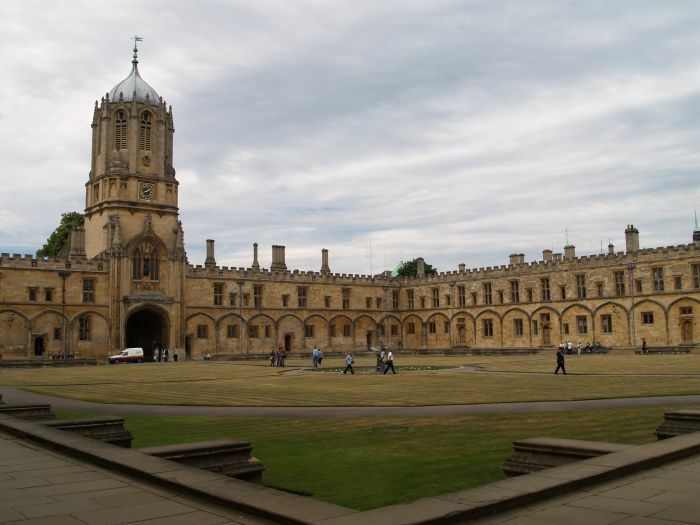 Christ Church was founded as Cardinal College by Cardinal Wolsey in 1525 but refounded as Christ Church 20 years later by Henry VIII when Wolsey had fallen from favour. 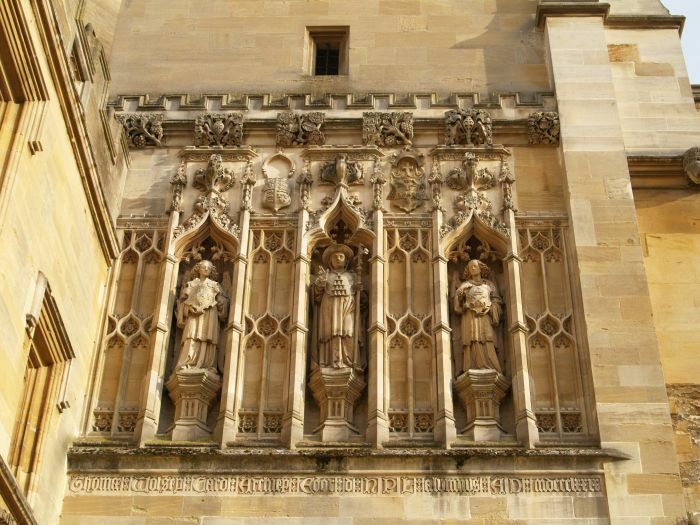 Christ Church College: The carved figures above the entrance to the Great Hall of Christ Church College from a corner of the Tom Quad. 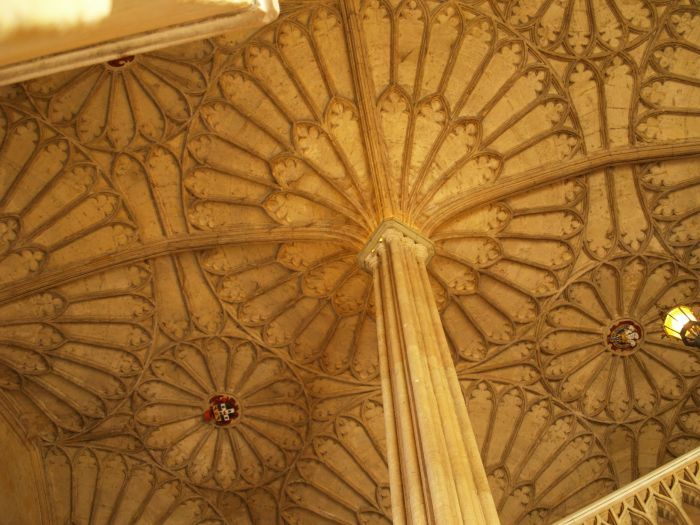 Christ Church College: The beautiful tracery of the vaulting in the entrance to the Great Hall of Christ Church.